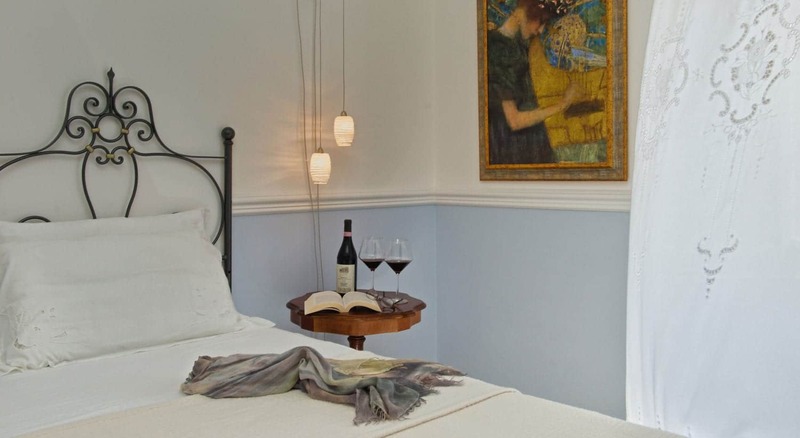 Each of our rooms are individual and furnished with respect for period and love for details but even paying attention to modern comfort; they offer a romantic view and a delightful relaxing sensation. Embroidery plays a key part of the room and hotel design, ensuring the Art Nouveau period is highlighted with Italian-made cotton haberdashery and window dressing. 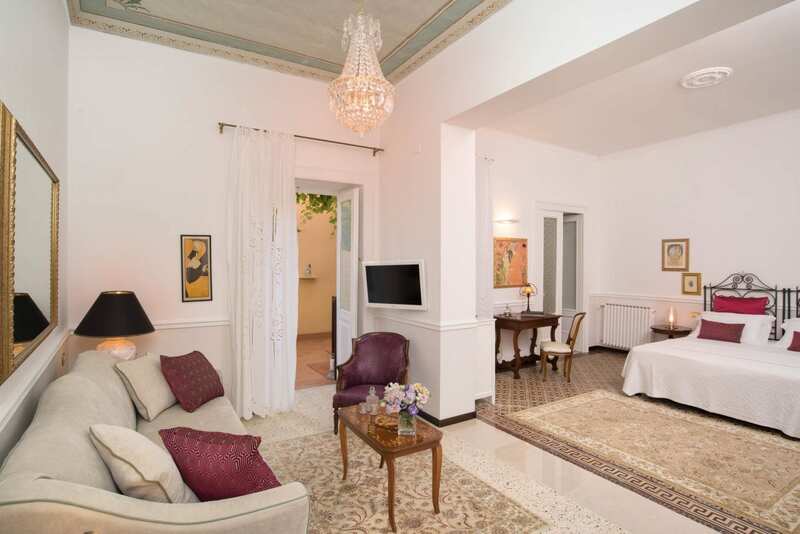 You can admire the crystal clear sea along the Tyrrhenian coast or the splendid garden containing hundred-year-old trees and colourful flowers from every room. Pictures indicate only room typology but they don’t represent the reserved room. A romantic room furnished with antiques, expensive materials, lace and old mirrors; overlooking a little garden with succulent plants and olive trees. The dimensions of this room vary from 17 to 21 square meters. Facilities: private bathroom with shower, satellite TV, safe, mini bar, independent air conditioning/heating, refined linen, free wi-fi, phone with direct line, hair drier, our toilet-set Mara’tìa perfumes. 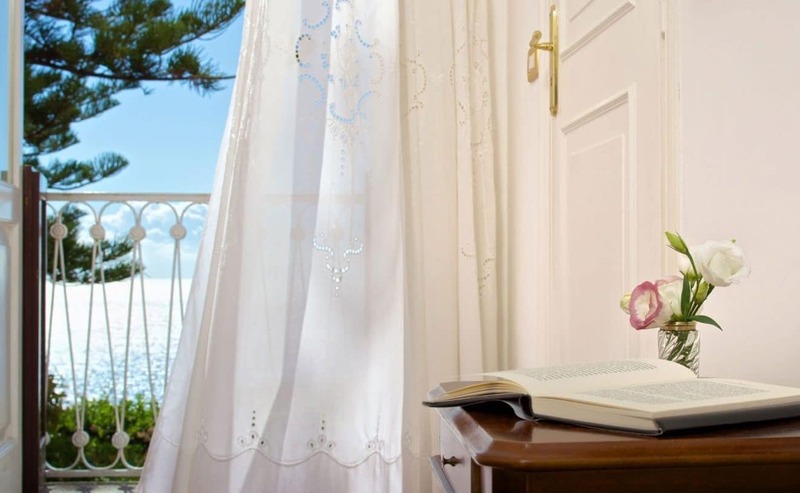 Cosy, elegant and comfortable; from the Classic sea view room you can take delight into the marvellous natural scenery of the Gulf of Policastro. 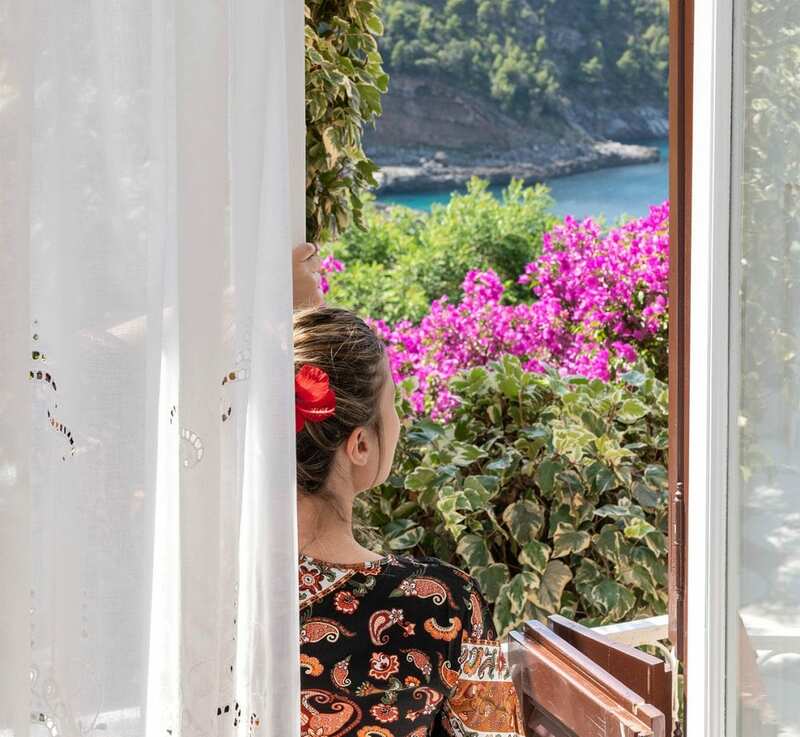 The attention to details makes the Classic sea view room the perfect choice for the ones who are travelling to discover Maratea and its surroundings. The dimensions of this room vary from 17 to 21 square meters. Facilities: private bathroom with shower, satellite TV, safe, mini bar, independent air conditioning/heating, refined linen, free wi-fi, phone with direct line, hair drier, our toilet-set Mara’tìa perfumes. The Superior rooms are spacious and comfortable, overlooking the swimming pool or the garden. They are suitable both for couples and housing three or four people for more, so for families with children too (on request). The dimensions of Superior rooms vary from 24 to 32 square meters. Facilities: private bathroom with shower, satellite TV, safe, mini bar, independent air conditioning/heating, refined linen, free wi-fi, phone with direct line, hair drier, our toilet-set Mara’tìa perfumes. The Superior sea view room are all to discover. The way they are furnished is always different but in everyone antique pieces and elements of contemporary design are in perfect balance exalting each other, to create a unique style like the incomparable view on the Gulf of Policastro. They are suitable both for couples and housing three or four people for more, so for families with children too (on request). The dimensions of Superior rooms vary from 24 to 32 square meters. Facilities: private bathroom with shower, satellite TV, safe, mini bar, independent air conditioning/heating, refined linen, free wi-fi, phone with direct line, hair drier, our toilet-set Mara’tìa perfumes. 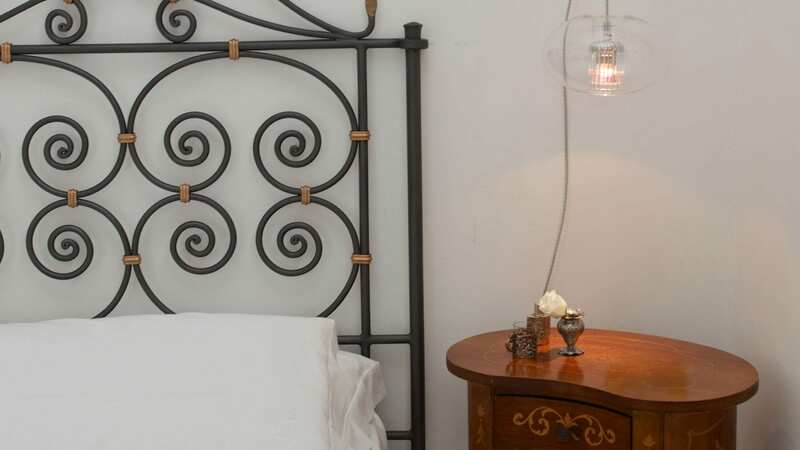 Two finely furnished interiors for one bedroom and one little living room, with private sea view terrace, an airy ceiling which is decorated with nineteenth- century frescos; it is the perfect room for the ones who desire more privacy and intimacy. 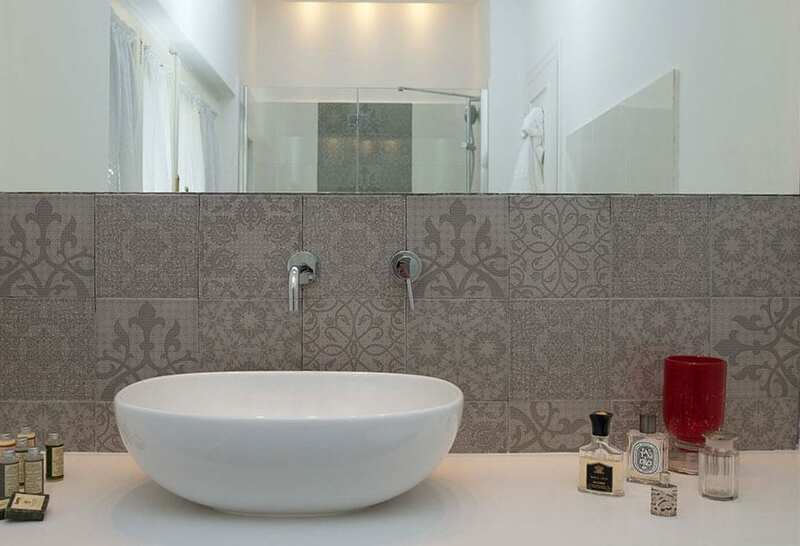 For more it has the private entrance to a striking terrace overlooking the Gulf and the romantic landscape. Facilities: two private bathrooms with shower, two satellite TVs, safe, minibar, independent air conditioning / heating, refined linen, free wi-fi, phone with direct line, hair dryer, our toilet-set Mara’tìa perfumes.